Nepal is a secular state which is geographical, religiously, culturally, ethnically and linguistically diverse with the wide range of amusements and unbelievable panorama. 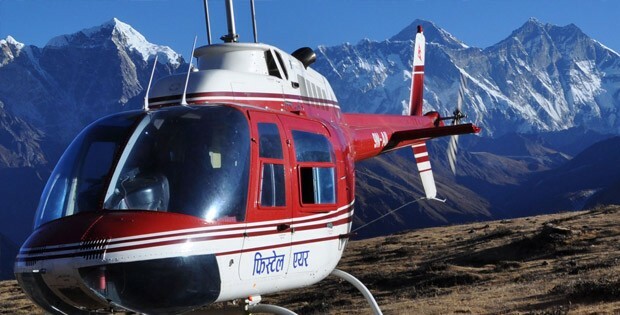 Nepal is the popular destination in the world for trekking, mountaineering, whitewater rafting, wildlife safari and other many different adventure activities due to its extreme high Himalayan ranges and wonderful biodiversity. Nepal is one of the best countries in the world for a cultural and historical tour with its long history, fascinating art and distinctive and varied architecture. Nepal’s natural beauty and typical tradition and culture are widely famous for their uniqueness and charm to the world. Nepal travel is an exciting jumble of fascinating land of ancient history, vibrant colorful culture and tolerant people. Nepal is one of the richest countries in the world in term of bio-diversity due to its unique geographical position, a wonderful gift of nature and altitude variation. Very few countries in the world can offer as many varieties of adventure tourism packages as Nepal. Of all the 14 peaks above 8000m in the world, 8 are located in Nepal. Nepal is also known to be the land of Sagarmatha (Mt. Everest, 8848m), the highest peak in the world and other 1310 mountain peaks. Other peaks in Nepal are Kanchenjunga, Cho-Oyo, Makalu, Manaslu, Annapurna, Dhaulagiri, Lhotse etc. Trekking is by far the biggest tourism industry in Nepal attracting climbers from all over the globe. Nepal trekking presents walking around, ground of yaks and yetis, Stupas and legendary Sherpa, the most outstanding celebration escapade trekking in Nepal onward and travelers target with remarkable countryside side, the summit of the highest mountains in the world, snow white Himalaya passes, glaciers and ice falls, superlative Himalaya landscapes and remote framework. Nepal is a country of exceptional biodiversity and a beautiful natural environment. In Nepal, wide range of the earth’s topography and climate zones including a diverse range of ecosystem from tropical jungles of the Terai to the arctic conditions of Himalaya highlands. Nepal has the most magnificent sceneries in the world and the great variety of flora and fauna. Nepal is home to 167 species of mammals, 50 amphibian, 130 reptiles, 863 birds and more than 6000 pieces of plants. Nepal’s 20 protected areas cover 23.23 percent of its land. Its 10 national parks, three wildlife reserves, six conservations areas and one hunting reserve cover various geographical locations from the sub-tropical Terai jungles to the Arctic Himalayan region. Two of Nepal’s natural areas are listed by UNESCO as Natural World Heritage Sites namely Chitwan National Park and Sagarmatha National Park. Lots of conservation areas as Sagarmatha Conservation, Langtang National Park, and Annapurna Conservation Project etc. have been successful to preserve the rare and endangered species of wildlife and vegetation abundantly. 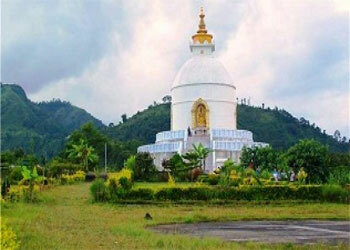 Nepal is the land where Gautam Buddha was born – Buddha, the symbol of peace. Nepal is a “paradise on the earth” due to her typical culture, hidden traditions, people’s unique ethnicity and custom. Nepal is rich with many temples and historical places full of architectural interest that display great craftsmanship and artistic ingenuity. Numerous religious and social festivals are celebrated all year round and are part of the rich, religious and traditional heritage of people from this part of the world. Kathmandu, Bhaktapur, Patan are the culturally and traditionally important cities for observing the Nepalese diverse religions. Hindus, Buddhists, Muslims, Christians, and people of other religions live together here in perfect harmony. Nepal has a composite population stemming from various racial and ethnic communities. Nepalese people are renowned for the welcome and hospitality they offer to visitors who remember it more than any other. Nepalese are naturally a friendly, welcoming people. We enjoy meeting people from around the world and are proud to share our wonderful country with you. Despite unlimited common grounds shared with neighboring India and China, the people stands a world of their own, offering astray from the routine of everyday life for visitors who come here seeking a break. The varied mosaic of various races and ethnic groups has given Nepal its distinct character and culture. Nepal‘s climate varies with its topography. It ranges from tropical to alpine depending upon the altitude. The Terai region which lies in the tropical southern part of the country, for instance, has a hot & humid climate. The Midland regions are pleasant almost all year round although winter nights are cool. The northern mountain region, around an altitude of 3353 m has an alpine climate with a considerably lower temperature in winter as can be expected. In the north, summers are cool and winters severe, while in south summers are tropical and winters are mild. Even in December and January, when winter is at its severest, there are compensating bright sun and brilliant views. Some places of Nepal have yet remained unspoiled or untamed; that is full of wilderness ecological and cultural museums. Jungle Safari tour in Nepal is a great way to relax discovering the best of viewing the flora and fauna and the original local people and culture along watching wild animals and scenery. Nepal is a predominantly rustic society and its prosperous culture and ethnic diversity is best experienced in its villages. The country is recognized as a beautiful, sociable and tranquil destination for village tourism. The prominence of Nepal is admired for hiking which endows with impressive sights of the mountains and the profound valleys. 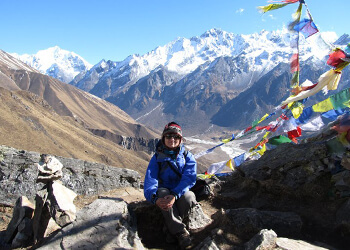 There are several options when exploring the heights of Nepal including trekking, rock climbing, Cannoning, kayaking, paragliding, mountain biking, Peak climbing, and mountaineering. Some visitors in Nepal come not just to witness the beautiful scenery but to expand their mind and spirit as there are courses in meditation, yoga, and massage available in many of the towns and cities in Nepal. Nepal travel proves to be a great experience and adventure that you will have an unforgettable and exciting time, with memories to treasure for years to come. Nepal can be perfect for people with long or short duration holiday visit. So now is the time to brace you for the break-away to experience the most amazing and adventurous Nepal with exhilarating exploration.